So… If I had to summarize what I like in clothes in one picture.. It’d be this one. 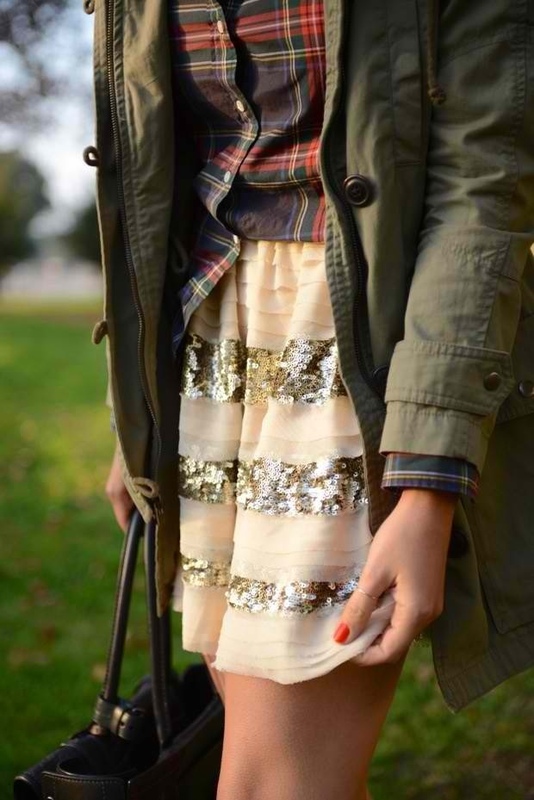 A little plaid, a vintage army jacket, and a pretty chiffon and sequin skirt. The perfect blend of comfortable, chic, and pretty. A little unexpected but overall it just works. I’d definitely pair it with an arm party and a Rebecca Minkoff and top it off with some heeled fringe booties.